Since the Apple vs Android war has officially kicked off, I’d like to pledge my allegiance to Android. I’ve yet to get my paws on the newest generation of phones, but I’m an avid Google fan and the idea of buying an iPhone leaves me feeling a little blah. After checking out what’s currently on offer, and what’s to come, I’m more than a little excited. The HTC Magic (right) sits at the more aesthetically pleasing end of the Android scale. 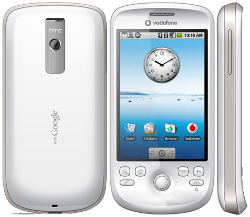 The HTC was the second offering from the Google Android market after the T-Mobile G1, and the improvements show. It’s much slimmer than the G1 thanks to the removal of the QWERTY keyboard, and general reports seem to indicate a system with far more usability. H TC are dominating the Android market at the moment. 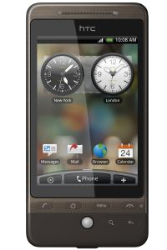 Their latest offering, the HTC Hero, is professional-looking and stylish enough to face up against Apple’s iPhone. Following in the footsteps of the Magic and the G1, it features that ‘chin’ at the bottom that seems to be bit of a Marmite feature. The Hero’s camera is the big difference between this handset and the others, boasting a high quality 5-megapixel camera. The search feature is a nice touch too, allowing you to search through tweets, e-mails and messages. Samsung have recently entered the Android market with the Galaxy i7500 (right), currently exclusive to O2. Measuring just under 12mm, it’s a skinny handset packed full of features and widgets. There have been some complaints of slow reactions on the touch screen, and a lack of customisability (a common complain with most of the Android handsets), but overall it seems to have strong reviews. I’ll be interested to see what the recently announced i6500 Saturn will bring to the table, and whether it will fix the buggy screen. The Motorola Dext (left) reverts to the old QWERTY keyboard, much to my fat-thumbed glee. 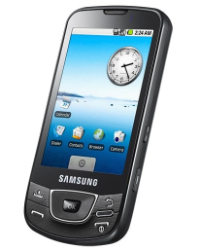 An Android aimed at social networking fans, the handset boasts the Motoblur function to make keeping in touch even easier. Whilst this initially wooed me, the news that it’s currently only available on Orange was a massive turn off. Rubbish signal and sitting on the phone to customer services for hours is not an appealing feature. Sony Ericsson have finally entered the market too with the Xperia X10, the first of many headsets that will be appearing in early 2010. 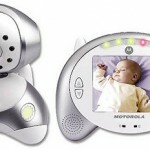 The handset includes a wireless stereo headset, 8.1 megapixels camera and a features called Timescape which holds all your communication for one person in one place. So in theory you can browse the texts, e-mails, tweets and facebook messages of one person at a single click. 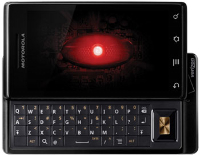 The phone everyone is really waiting for though, is the Motorola Droid. This smartphone features a huge screen, 5-megapixel camera, and a free GPS system powered by Google. The system is reported to be ultra fast, and many are comparing it to the iPhone for its performance. With news of several more handsets in the works from Archos and NVIDIA, 2010 should be a very good year for Android. 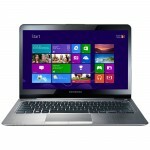 Is Windows 8 any good? otherwise a great little phone. Don’t know why I’m so pleased not to succumb to an iPhone purchase but haven’t looked back from switching to Android. I’ve got the original black G1 and it’s got its issues (my qwerty keyboard has enough borked keys to make it unusable, it’s a bit of a brick…) but the best part of it is its 18-month contract. <– What? No, I'm not nuts…But it means that I *have* to wait till next year to switch my handset, and if what you've said is anything to go on, the future's looking bright! I'll definitely be looking for one with a "hard" keyboard, though…As nifty as the on-screen ones are, they just can't beat the speed of a hard keyboard. But I'll have to be sure it lives up to my heavy usage! 1) The Magic, whilst older, actually has a newer version of the Android OS – 1.6 (Donut) is now available to all owners. 2) The Hero doesn’t have the search function you mention in the current 1.5 (cupcake) OS. 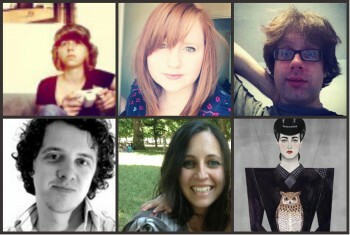 This is a feature of Android 2.0. 3) The Droid runs Android 2.0 (eclair) OS. 4) Eclair is expected to be ported to the Hero before the end of the year. It’s been announced that Donut will not be ported to Hero. 5) All devices come with GPS, not just the Droid. 6) Google Maps Navigation (beta) is only available for OS 2.0 (eclair) and also only available in the USA. Outside of the US, it’s being marketed as the Motorola Milestone which is pretty much the same but doesn’t have Google Maps Navigation. 7) Other sat nav software is available for Android users outside of the US – for example, CoPilot Live works well. 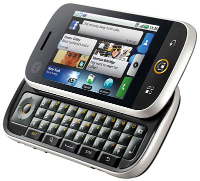 8) The Hero is often sold as the T-Mobile G2 Touch which is identical except for the case branding. 9) The T-Mobile Pulse is also available in the UK and runs the Hero OS (cupcake/1.5) for just £176.16 on PAYG! 10) Google Navigation may take a while to come to any phone in Europe as they don’t own the maps. Many are owned by TeleAtlas, a TomTom company. My G1 is my beloved purely for the qwerty keyboard. I can’t be doing with touch screen keyboards. The battery is a nightmare though. I don’t know if I didn’t charge it enough to begin with or if I ran it down after that, but now I’m lucky if it lasts a day. I’ve been eyeing up the new HTC Tattoo for its cheapness, as I am a stingy, stingy person. But reviews suggest the reduction in price may be funded by a rubbisher touchscreen, and since it only has a touchscreen keyboard, it may not be worth the frustration. So I might just go with the Magic instead. Personally, I’d take the Hero over the Magic. I used a Nokia communicator for nearly a decade, with full size qwerty keyboard, and the Hero touchscreen keyboad is surprisingly nice. I don’t like the iPhone one, if compared. I’d probably take the Magic over the Hero if all else were equal, but for various reasons I probably need to stick with Vodafone and I don’t think they do the Hero, at least not right now.